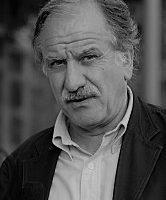 Noël Mamère is a French journalist, and the mayor of Bègles in Gironde. He was Member of the European Parliament from 1994-1997, and presidential candidate of Les Verts in 2002. Wywiad z Noël Mamère, Omid Nouripour and Tony Clarke.